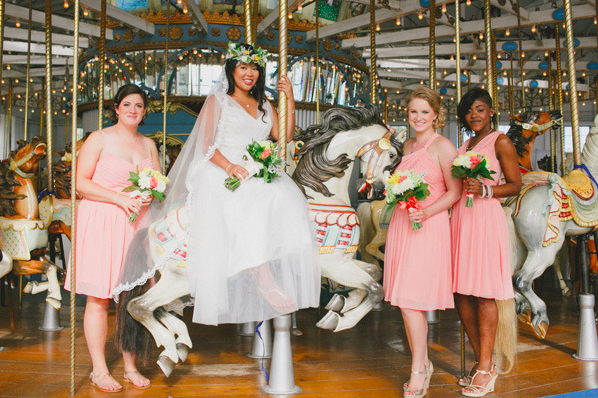 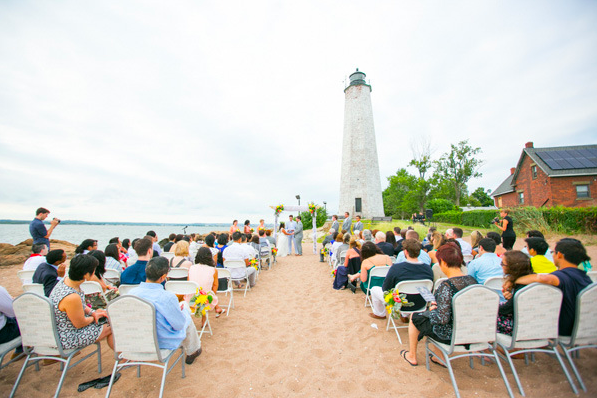 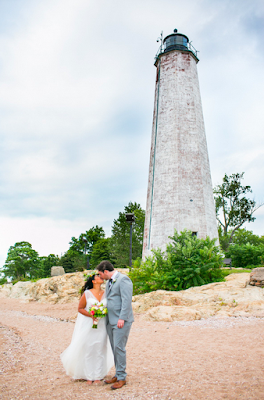 A beachfront wedding with a lighthouse and antique carousel truly makes for a magical and romantic New England wedding! Lyn and Jon were married at Lighthouse Point Park in New Haven, Connecticut. Lyn's bridesmaids wore Watters crinkle chiffon dresses in the color Coral. 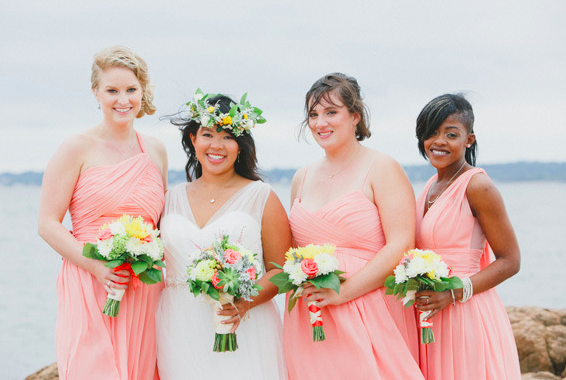 See the rest of the photo gallery featured on Aisle Perfect!